Longleaf Vineyard is one of the most spectacular mountain wedding venues in Western North Carolina. The ceremony location is just steps away from the vineyard with breathtaking mountain views. Cocktail hour takes place in our rustic/chic covered pavilion or on our spacious patio with panoramic mountain views. As the sun sets over the Smoky Mountains to our West, your guests will enjoy dinner and dancing in our spacious wedding tent. Start your special day with final preparations in your private bride's cottage. Your ceremony site awaits you, just steps from the vineyard with a gorgeous mountain backdrop. Your guests will enjoy cocktail hour, while you get fabulous wedding photos in the vineyard. Let the celebration continue in our wedding tent accommodating up to 150 guests. Make your wedding planning as simple as possible with our Inclusive Wedding Package. Foodies? We have partnered with Asheville's finest caterers to ensure that you and your guests are thoroughly pleased. Wine connoisseurs? "Add on" our wine cellar with the vineyard owner pouring wine and speaking about Longleaf Vineyard wines...your guests will love it! Enjoy our overlook ceremony location and covered pavilion with 25 of your closest friends and family. 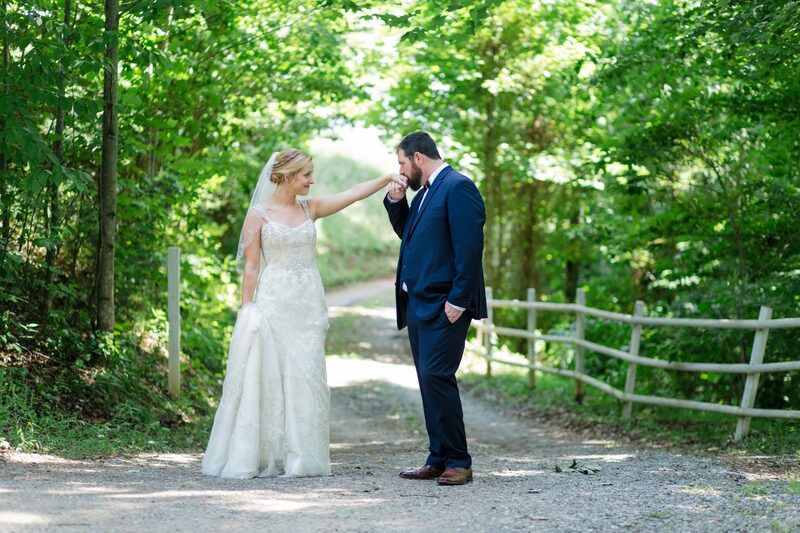 Your guests will explore the vineyard while you get fabulous wedding photos. Continue the celebration in our covered pavilion that comfortably accommodates 25 guests for cocktails and dinner. Enjoy our overlook ceremony location with 8 of your closest friends and family. Guests will enjoy the vineyard while you get fabulous wedding photos. Longleaf Vineyard white wine toast included. 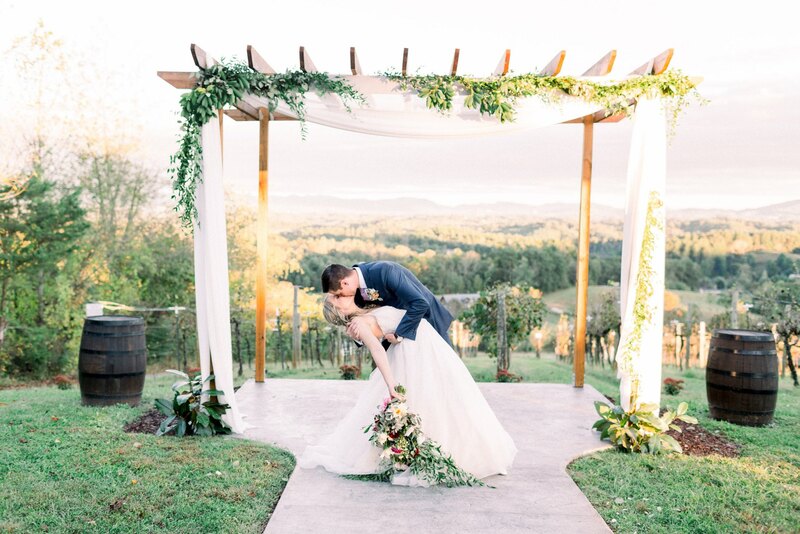 We were married at Long Leaf Vineyard and it was a fantastic experience from planning to ceremony. Wendy and Brian worked with to make sure it as exactly as we wanted and gave us the perfect wedding experience. The vineyard is gorgeous and the mountain views made for the perfect backdrop. We can't wait to come back to visit for years to come. Thanks for everything!! I cant say enough about Longleaf Vineyard! My now husband and myself visited the venue last year and were amazed with the views! The new owner Wendy Knowles was so responsive and helpful from day one! If you book this venue, you will not be disappointed! 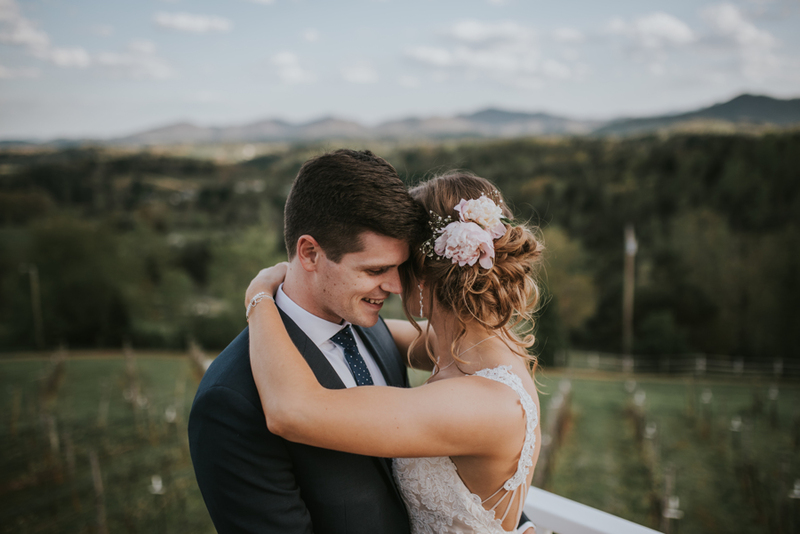 We chose this venue for its beautiful views of the mountains, and it was a delight to be able to look over my soon-to-be husband's shoulder during the ceremony and see the beautiful Appalachian mountains in the background. The venue was so easy to love. We had a great experience with Longleaf and will highly recommend it to anyone looking for a beautiful venue! The venue is beyond gorgeous- you just can't beat the amazing mountain view! All of our guests were raving about what a beautiful venue it was, and our pictures look incredible! Thank you Wendy and Brian for hosting our perfect day! If I could rate Longleaf Vineyard with 1000 stars I would! The views and the owners' wonderful hospitality make the venue absolute perfection. I would not have my wedding day anywhere else.